The Robert Wood Johnson Foundation (RWJF) has published its research findings on more effective ways of talking about social determinants of health to the general public and policy makers. The RWJF is a philanthropic organization that focuses on improving health and health care for all Americans. 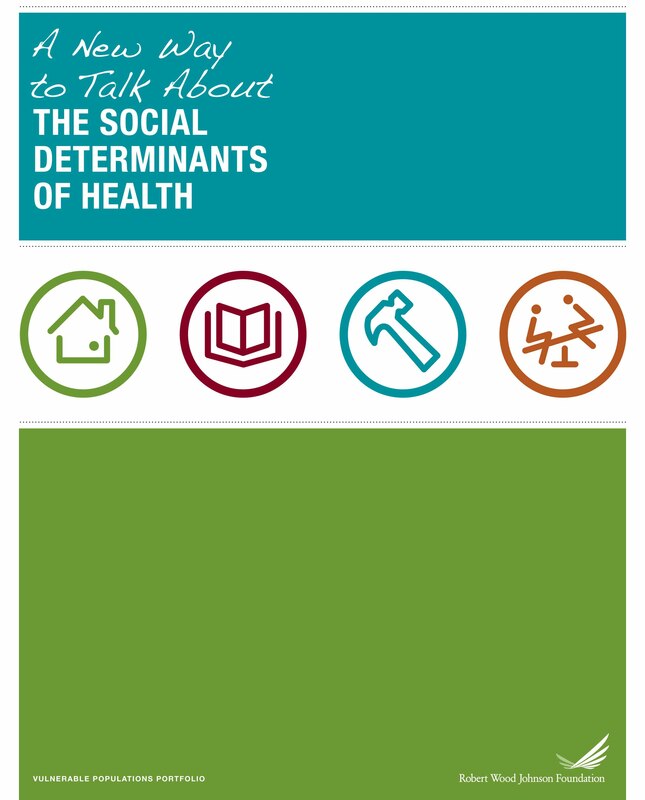 In their work, the Foundation found that while social determinants of health have been well-established and discussed in academic circles, the concept did not resonate “on the ground.” Recognizing that it isn’t enough to be an authoritative voice on the importance of the relationship between social factors such as poverty, housing, and education on our health, they undertook a research project to determine the most effective ways of communicating this information to the public and to policy-makers. The research demonstrated that people do not “naturally” think about health in terms of social factors. They found that 84% of Americans tend to view their health as something largely under their control and for which they have to take personal responsibility. However, they were able to see dramatic shifts. When exposed to effective messages about the social determinants of health, 31% of Americans chose social factors as influences on their health. The researchers found that the terms often used to describe health disparities can get in the way of people accepting the concept of social determinants of health. For example, individuals with conservative views tend to have negative reactions to the idea of creating equal levels of health (e.g., words or phrases like “equal,” “equality,” “leveling the playing field”) while individuals with liberal perspectives use words like “unjust” or “outrage” or “immoral” which a conservative audience would never use. Phrases such as “Your neighborhood or job shouldn’t be hazardous to your health” or “Your opportunity for health starts long before you need medical care” were shown to be more effective for all audiences. Traditional phrasing of “social determinants” language consistently tested poorly in every phase of research. Priming audiences about the connection between social factors and health with messages they already believe makes the concept more credible. When messages are presented in colloquial, values-driven, emotionally compelling language, they are more effective. It’s important to focus broadly on how social determinants affect the entire population (versus a specific ethnic group or socioeconomic class). At the end of the project, the team developed three new “messages” or ways of talking about social determinants of health that have broad appeal. These messages are now being incorporated in the work of the Robert Wood Johnson Foundation. View the project findings, policy brief, messaging guide, and webinar recording here.